--Shakespeare, Caesar, Act II, scene ii. Shakespeare is writing about universal human experience. He eloquently and profoundly sums up the range of human emotion. If you’ve felt it, Shakespeare has described it. He’s a remarkable storyteller. He was able to take material from other sources, such as Plutarch’s history, and turn it into plays that people have loved for 400 years. His range covers tragedy, comedy, love stories, fairy tales, histories and melodrama. He just knows how to tell a good tale. Shakespeare’s characters are deep and complex. They are among the favorites for actors to perform because they are emotionally rewarding. From Brutus trying to make the correct decision for Rome to Puck commenting on what fools these mortals be, the characters have a depth of humanity rarely seen in drama. The sheer beauty of the language draws people back to Shakespeare again and again. There’s a reason that Shakespeare is still the most often quoted English author. His ability to turn emotion into words is unsurpassed. His ability to coin new phrases that are still in use and his creation of around 1700 new words show his mastery of language. 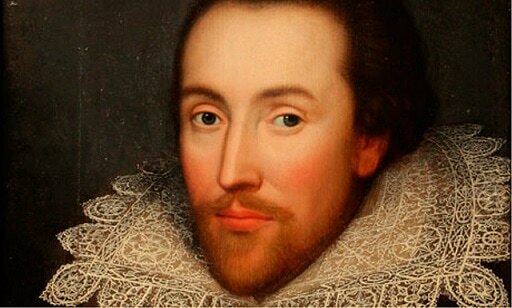 Shakespeare is one the driving forces in the way English is used today. He is a cultural icon. A well-educated person is presumed to have a grasp of Shakespeare. Just as knowledge of The Iliad and The Odyssey are foundations of a classic liberal arts education, familiarity with Shakespeare is a mark of a thoughtful scholar. Homer, Shakespeare and the Bible were the basis of most of the early education in America. Why take The Classical Bard at The Lukeion Project? The Bard of Avon loved Classical themes almost as much as we do here at The Lukeion Project. Get ready to visit some of his very best pieces in this one semester course. We will cover Shakespeare's Roman plays (Julius Caesar, Antony and Cleopatra, and Coriolanus) plus A Midsummer Night's Dream set in Athens. Along the way we will examine how ancient writers influenced Shakespeare's ideas. Expect exams and various writing projects. There will be group reading so a microphone is required. This course makes a great half credit English/lit. course. Expect a short writing project over each play. These will require close readings and character studies rather than research papers. Each project will be 2-3 pages. Also expect a reading quiz before each play. In class we read sections of each play aloud as students take different parts. Expect to learn about Shakespeare's life, the Elizabethan theater, and Shakespeare's ancient sources. All Lukeion literature survey courses are college preparatory. They promote time management and encourage critical analysis in exam essays and research projects. They prompt good note taking and study skills. Good candidates for this course must be confidently reading and writing at the high school level since they require robust weekly reading assignments. Writing projects take time. A draft will be assigned one week before the project is due. 3. Submit paper topic worksheets, rough drafts and completed drafts on time. ​5. Participate by asking great questions and offering opinions and answers when asked and by taking your turn as an “actor” when asked by the instructor.